By involving local communities you can create a concrete legacy for host destinations and achieve strategic results for everyone, the organiser, the attendees and local stakeholders. The impact meetings have on host destinations and local communities is much wider than people imagine. Things like knowledge or skills transfer, sharing of scientific and healthcare advancements with local professionals, empowering young people or women are all important legacies far beyond economic and touristic values. It is about how events change real lives in a community. Nowadays, the meeting industry’s broader value is becoming more and more understood. PCOs and Associations are definitely on the frontline of this process. So why should they deploy resources on a legacy programme? Planning an event with a broader vision for positive legacies on a local destination is not only a good practice for CSR and for moral reasons but it can produce significant outcomes for associations. It helps them to attract and retain members and build brand reputation. It also helps create a meaningful bond between delegates, boost team spirit and makes conferences more engaging, especially if you choose initiatives tailored to the core activities and topics of the conference. With these premises, the possible actions are numerous. You can, for example, involve participants in construction/renovation projects, such as building new homes for families in need or a community garden in a derelict area. 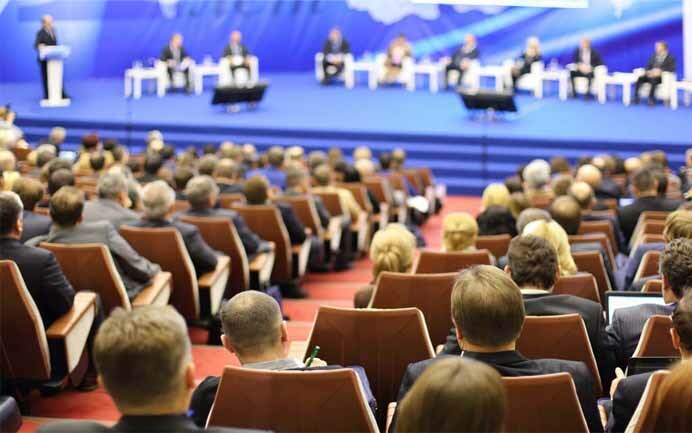 Of course, the contribution of a conference is related to knowledge sharing with the local community, for example, giving local patients the opportunity to discuss medical issues with world-class specialists. Another type of legacy is the economic support of local social projects by corporate donations or fundraising among delegates (e.g. gala dinner auctions or a fun run). A very easy way to create a concrete legacy is to recover surplus food at the end of a convention lunch or dinner and deliver it to local charitable organisations (family homes, soup kitchens and refugee centres) thereby reducing the event’s environmental impact. At AIM Group we implement this practice when we organise major congresses. In Italy, we joined the project Food for Good, with the goals to implement food waste reduction and the redistribution of edible food. In 2017, we donated 3.500 meals, 1.500 sandwiches, 150 kilos of fruits and 500 water bottles. A good legacy example of what can be done is the SIAARTI Academy 2017, the innovative and efficient training event, organised by AIM Group, for the young members of Italian Society for Anaesthesia, Analgesia, Resuscitation and Intensive Care (SIAARTI). This complex project has been awarded a BEA World Award, IAPCO Collaboration Award and FCE Award. AIM Group and SIAARTI decided to host the event on the small island of Lampedusa (Sicily), once known as an ideal holiday destination, now famous as the backdrop for migrant boat landings and major socio-sanitary challenges. Organising an event on such an island enabled some local facilities and companies - such as the airport, hotels, restaurants and transfer companies - to be revaluated and successfully adapt to the needs of the meeting industry. AIM Group hoped to prove that Lampedusa was capable of hosting business events and educational activities, creating an important legacy in terms of the destination’s reputation. Furthermore, the event was held just before the opening of the tourist season, providing an additional economic profit to local operators. In fact, the island welcomed more than 100 medical residents attending plenary, hands-on sessions with experts and stations with up-to-date simulators and a remarkable maxi educational simulation for an emergency due to the sinking of a boat. They implemented theories that they had just learned in a very engaging and motivating way. This experience confirmed that it’s always worthy to imagine an event in broader terms and look at all benefits that association events can generate.